Most Virginians are aware that driving a vehicle while under the influence of alcohol is against the law, but they may not know that boating under the influence is also prohibited. It’s illegal to operate any boat, canoe, kayak, or motorized watercraft such as jet skis on a body of water while under the influence of drugs or alcohol. Boating laws in Virginia are enforced by police officers working for the Virginia Department of Game and Inland Fisheries, as well as the Coast Guard on federal waters. Since about half of all boating accidents involve alcohol or drugs, law enforcement takes this issue very seriously. That’s why Virginia police officers are allowed to treat intoxicated boat drivers the same way they would treat drunk drivers on land. Intoxicated boaters can be arrested without a warrant, as long as probable cause exists. An officer has probable cause if he sees the boat operator behaving in a manner that indicates he is intoxicated. Just as if you were suspected of drunk driving, if the officer thinks you’re boating while intoxicated, you’ll be pulled over. You will then be asked to perform field sobriety tests and asked to submit to a chemical test to determine your blood alcohol concentration (BAC). If you refuse, you’ll lose both your driving privileges and your boating privileges. He has a BAC of at least .08 percent. He is under 21 years of age and has a BAC of .02 percent or higher. He has a cocaine blood concentration of .02 milligrams or more per liter of blood. He has a methamphetamine, PCP, or ecstasy blood concentration of .01 milligrams or more per liter of blood. 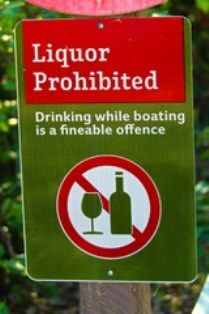 He is impaired by alcohol or drugs to an extent which prohibits him from operating the watercraft or motorboat safely. If a boater guilty of a BUI causes serious bodily injury to another person, he may be convicted of a class 6 felony. This means he could be facing up to five years in prison, pay a maximum of $2,500 in fines, and have his driver’s license suspended for at least two years. If someone dies as a result of the accident, the boater guilty of a BUI may be convicted of involuntary manslaughter—a class 5 felony. This carries a penalty of up to ten years in prison and fines of up to $2,500. If the boater is convicted of aggravated involuntary manslaughter, he may spend up to 20 years in prison. In either case, he will face a driver’s license suspension lasting at least five years. If you’ve been arrested for boating under the influence, you’re facing the prospect of severe criminal and financial penalties. Additionally, a criminal record can severely limit employment and educational opportunities. If you’ve been charged with a BUI, you need professional representation by an experienced attorney who knows how to fight for you. To learn more, contact the vehicle accident attorneys of Kearney, Freeman, Fogarty & Joshi, PLLC by using the form on this page. Virginia Toughens Its DUI Laws—Has it Gone Too Far?